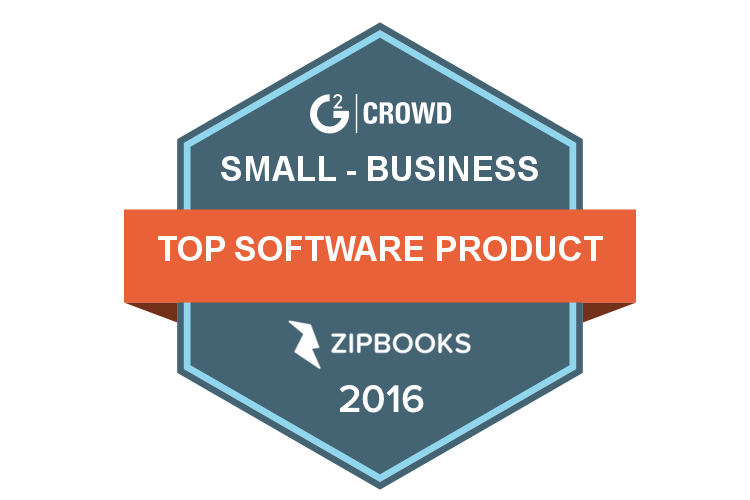 Lehi, UT — G2 Crowd recently announced that ZipBooks tops their 2016 Top 50 Small-Business Software Products list. G2 Crowd puts out the annual list to showcase software that small-business users have rated highly, based on customer satisfaction score. Marty Duffy is Director of Research at G2 Crowd and heads the effort to compile the results. “Small-business users of ZipBooks expressed such high levels of satisfaction they were awarded the first place spot on the ‘Top 50 Small-Business Software Products’ list,” explained Duffy. ZipBooks continues to make waves just months after being featured as a “New and Noteable” app in the Google Apps Marketplace. ZipBooks is the first accounting program that lets business owners send and finance an invoice in a single click. ZipBooks provides bookkeeping, invoicing, time tracking, and credit card processing to small business owners without a paid monthly subscription. ZipBooks is on a mission to get business owners needed access to short-term capital and lower the overall cost of running a business. ZipBooks has offices in Lehi, Utah.